Frank Meaker, Cellarmaster at Org de Rac, in the Swartland Wine Appellation, launches two new top-Tier Organic Wines, under their new Die Waghuis label. Frank Meaker, in my opinion, is one of the true under the radar wine maker in the Cape winelands. By the launch of these two really shows his talents. 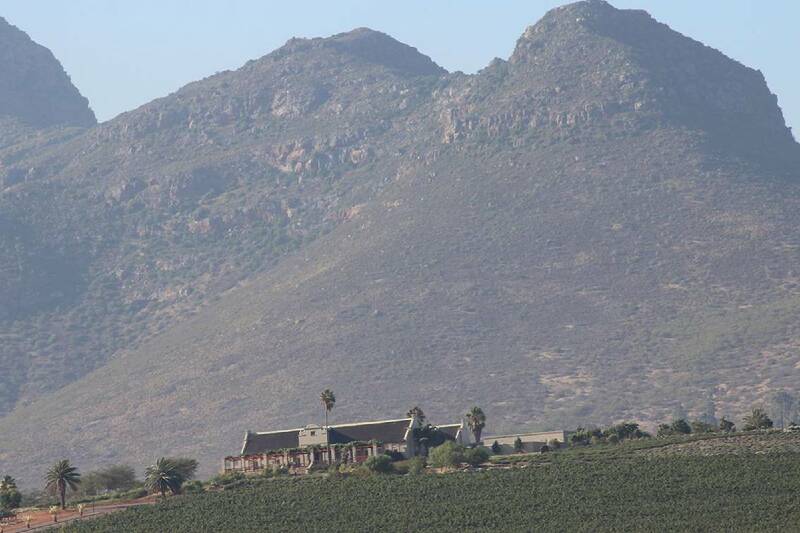 Named for Die Waghuis, an 18th century guard-house (waghuis) that once stood at the foot of Piketberg to ensure the safety of travellers between Cape Town and the rugged north-western hinterland of the Cape, they are a red and a white blend. The Org de Rac Waghuis 2016 is a white blend of Verdelho (37%), Chenin Blanc (37%) and Roussanne (26%). It scored 91 on the hundred point scoring system by well known British wine writer, Tim Atkin and won a Gold medal at last year’s Michelangelo International Wine and Spirits Awards. The grapes were all grown and harvested off Org de Rag, south-facing vineyards with a mix of Terra Rossa, Shale, and Tukulu soils which yield five tons per hectare. Fermentation was done in a mix of some new, some previous fill French and American oak barrels and stainless steel. The wine spent some 12 months in the barrels and was left on the lees in order for the aromas, fruit flavours, acidity and oak to interweave and build broad flavours before being prepared for bottling. Bottled under natural cork closure in a Burgundy shaped bottle. Green wax around the cork. Enchanting ‘old world’ etching of Die Waghuis on the label. In the glass, a pale golden straw. Ripe white fleshed peaches and spiced apricots, undertow of vanilla and oak spice. From entry, there is a richness and layers of complexity. Full mid palate. The Verdelho playing its part. Almost anything. It has the oomph to take on smoked barbecued ribs and the delicacy of a cold smoked fish like angelfish or local brown trout. The Org de Rac Waghuis 2016 red is a delicious blend of Shiraz (66%), Grenache (19%) Mourvèdre (12%) and Verdelho (3%). The vineyards are again planted on south-facing slopes, with bush-vine Grenache at the top and the trellised Shiraz and Mourvèdre lower down. The grapes were co-fermented except for the Mourvèdre which ripens late in the season. Some components were whole berry fermented with crushed fruit mixed in. Malolactic fermentation took place in 500 litre barrels with cherry-wood heads. The blend was aged in second-fill barrels for 14 months and then prepared for bottling. Bottled in the same way as the white under natural cork closure in a Burgundy shaped bottle. Red wax around the cork. Enchanting ‘old world’ etching of Die Waghuis on the label. In the glass, a rich bloodplum red at the core which pales out to garnet at the edges. Red berry and plum fruits with oak spices and an undertow of fynbos herbaceousness. From entry, the fruit sings. Nice broad mid palate and all things beautifully interwoven in a long and gently waning aftertaste. Do it the honour of chilling it for about 30 minutes before serving. Perfect for a lusty vegetarian main course, pasta with a tomato based sauce. Go South African with boerewors or Bobotie, it loves both. 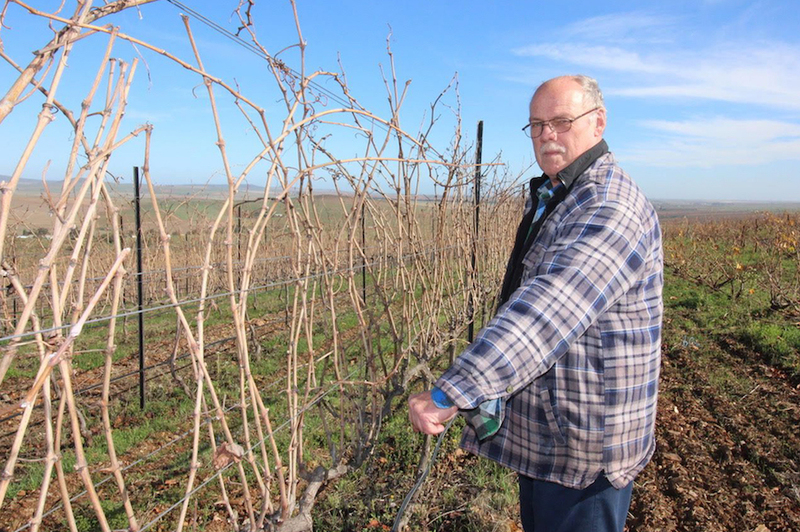 Org de Rac Cellarmaster Frank Meaker tells that the quality of fruit the organic vineyards have delivered over the past few years necessitated the introduction of two top-tier Org de Rac wines to show of what the property is capable. The suggested retail price for both wines is R160.